I’m so relieved that blogger is up and running again. I don’t post that regularly, but I was all ready to do so yesterday afternoon. Well, here we are and I’m ready to show you the first of two layouts we completed at the Regional Celebration in Toronto last month. See the neat-looking hearts? We sprayed the stamps with re-inker and water before we stamped with it. Such a cool technique. It was fun﻿ working in the back with these little boxes they’d set up. I almost sprayed Kristine’s pants! Sorry about that, Kristine. 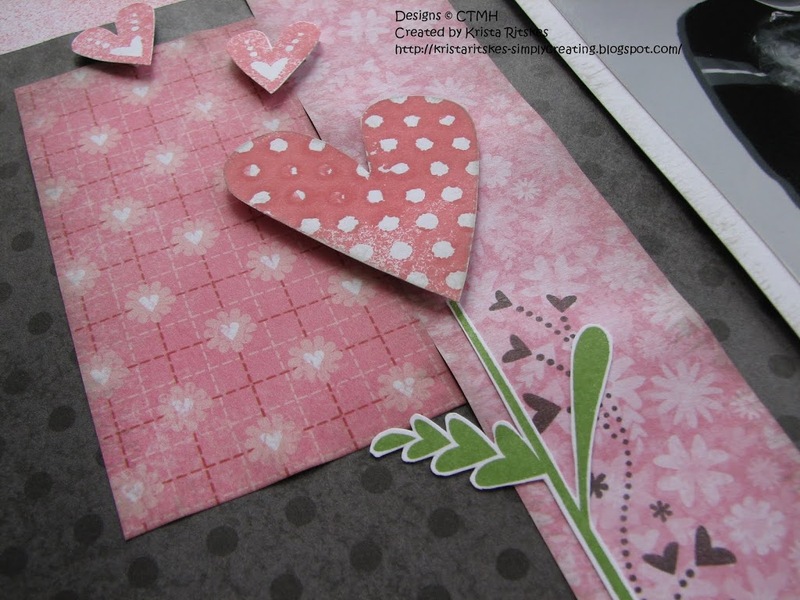 We used the Affection stamp set and the Headline Alphabet, which we stamped using the back side of the stamp on the back side of the patterned paper. You’ll also notice the distressing. We used the long brush from the distressing tools, brushing Grey Flannel re-inker onto the edges of everything. 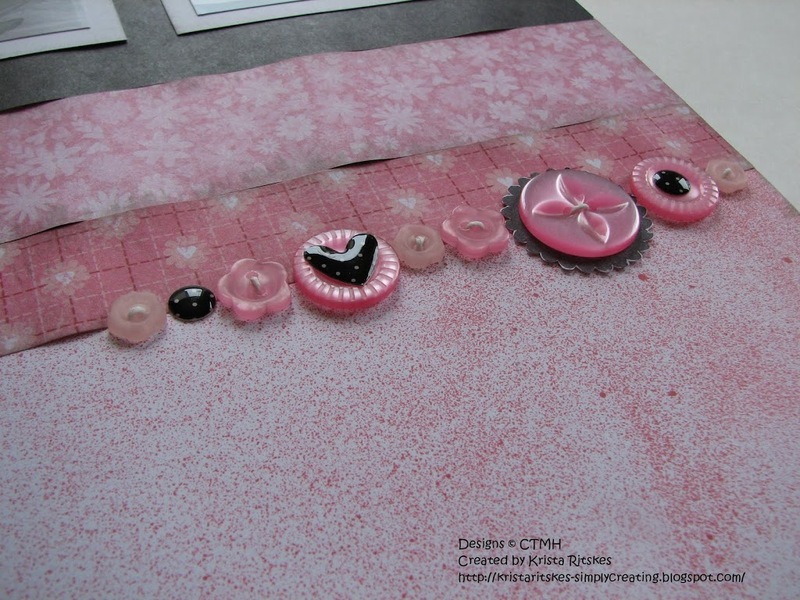 We also used pink buttons, the Sweetheart Level 2 Assortment (those black and white epoxy stickers), and Colonial White waxy flax. Such a fun layout to work on. 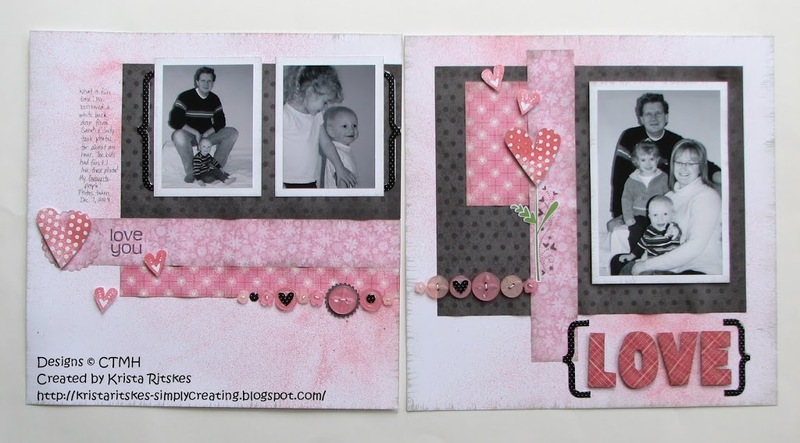 Stay tuned for the other layout we completed as well as some cards yet to come.